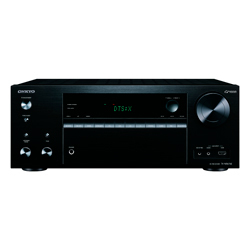 I`d like to give a review for a new device – Yamaha RX-A750 from AVENTAGE series. The series stands for Yamaha high-quality equipment. In my opinion, every audiophile will be satisfied with renewed materials, with which this receiver is provided. I bought this amplifier in titanium color, which is in the same price as a black one, but it looks much more impressive. The setup came through in an easy way, in a scope of delivery are included a well-structured remote control and one microphone. Thanks to designers, all of these specs look great and impressing. 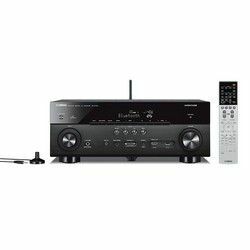 If you need to watch your favorite videos from YouTube with really high-quality sound – Yamaha RX-A750 will meet your expectations. Nothing is compromised when designing an Aventage lineup. 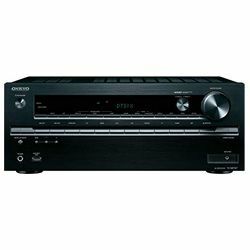 I personally like the receiver - it is a heavy, well-built unit with aluminum front, which impresses with its very good quality. The regulators are over the front, the resistance of the biggest two regulators can be felt very well. Then we can see inputs for headphones, microphone, and front HD media type if you need to connect your laptop quickly. Everyday use of the receiver is simple enough although the remote took a bit of getting used to, with its many buttons squeezed into a relatively small space. Yamaha RX-A750 comes with serious benefits. Most notably is the ability to listen to another pair of speakers in another area of a house with a push of one button. Party Mode will power up the second zone and will mirror whatever is playing in the main theater. Listening to music in the other area of the home is easier than ever. You can control inputs, volume, track selection and much more from your smartphone or tablet with the use of the AV controller app available in major app stores. It`s a little more expensive than an average receiver but so worth it. I enjoyed each input in stunning 4k Ultra HD with video upscaling. Also HDCP 2.2 support and high-definition audio over the network connection just blew my mind out! It is hard to say how many hours I have already listened to different types of music through this device. This receiver is wonderful. I run everything through, and it is so convenient that you don't have to change inputs on your TV. It is possible to adjust the levels for each individual speaker while you are watching something. Also the receiver can even auto set itself up for optimum listening if you plug in a mic and place it where you normally sit to watch your TV. What I want to say is - music listening is outstanding. As I have a special ear for music and prefer to listen to old jazz music, this amplifier has lived over some great compositions. Sometimes I just lost my breath, with no exaggeration – the sound is so clear and at the same time, it is enough of loudness. Then I like to use my bookshelf with audiobooks, while I was having my breakfast or doing some house cleaning. I played numerous action films on my 5.1 setups and they shook the walls at less than 50% volume. The sound is clear and does not distort - assuming you have good quality speakers. This sound can reach any part of apartment wherever you are, meaning that your receiver in one room and you are in another. The sound is great аnd the quality is excellent. Smartphones or tablets – everything is suitable for Yamaha RX-A750 amplifier because of the built-in Bluetooth connection. Works well with Samsung Smart TV. Have two-zone setup with 5 pairs of speakers on the 2nd zone. This amplifier can drive sound to all of them. I used it with my Samsung Bedroom TV. After wiring it properly to TV, I can use the TV volume button on the remote to control the AMP. ARC (Audio Return Channel) also works well when pulling sound from Android apps built into the TV back through the receiver. It is important to mention that I had no issues with any of my devices being run through this device. (All devices, that were connected: Sony Bravia, Sony Blu Ray Player, & iMac and some others). Yamaha RX-A750 is very easy to set up, I enjoyed the auto calibration. and if you get it wrong the first time, just run the setup again. It's quick and easy. I will warn you to look at the report when you are finished setting up. My first attempt showed one speaker at 8 feet and the other at 16 feet, which was impossible since the speakers are almost identically placed from the listening position. Running the setup again got it correct. 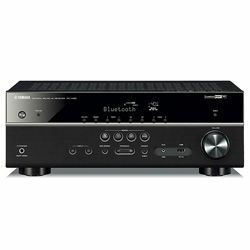 I highly recommend Yamaha RX-A750 for its sound quality and longevity in priority for an audiophile-on-a-budget like myself. Numerous built-in music apps and flawless functionality with Apple devices via AirPlay. Plenty of power for a large living room, with the second zone, included. Also, this item has such function as Party Mode. Great feature to listen to another pair of speakers in another area of a house with a push of one button. The unit seems can't store WiFi access points. I would rather have the option to simply be asked when accessing networks if I would like to re-join my network instead of having to start all over. Important to notice in this review that Yamaha RX-A750 is pretty heavy for caring, so you will not have an opportunity to change its location too often. The RX-A750's overall performance is exemplary for both music and movies. I think is a real bargain. Great sound, very easy to use. I was looking for an amplifier with the ability to stream my phone through the home system and this is it. 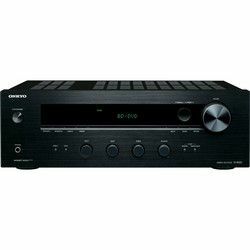 This beautiful high quality processed device, which Yamaha offers to take its TOP position among the best receivers of nowadays.